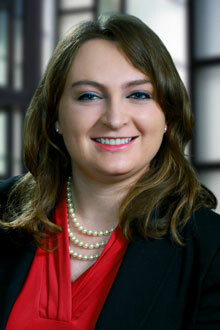 Kendall Fisher is an associate in the Sacramento office of Lewis Brisbois and a member of the Labor & Employment Practice. Kendall graduated from McGeorge School of Law with great distinction and as a member of the Order of the Coif and the Phi Kappa Phi Honor Society. While in law school, Kendall was a judicial extern for The Honorable Morrison C. England, Jr. at the U.S. District Court for the Eastern District of California. Kendall also clerked at the U.S. Attorney’s Office for the Eastern District of California and the California Department of Justice. In her spare time, Kendall likes to be with her family and her dogs. Kendall has played the cello since age four, and also plays the piano and violin.